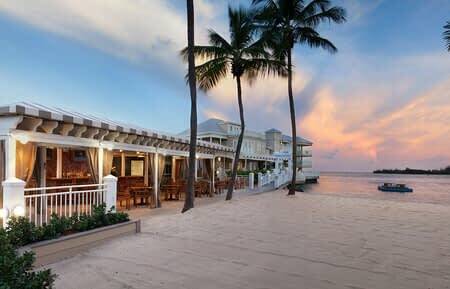 DALLAS, TX (July 11, 2017) – OpenKey, the industry standard for universal mobile key technology in hotels, has been selected by the Pier House Resort & Spa in Key West, Florida as the property’s mobile key and amenity app of choice. The partnership keeps in theme with the iconic beachfront address’ laid-back, local vibe serving as the perfect Key West respite. The award-winning OpenKey app will enable effortless room access for guests of the Pier House and reduce the resort’s carbon footprint through elimination of disposable plastic keys. OpenKey will further be available to guests as a go-to resource for conveniences such as directions to the property, amenity booking and notification of early or late arrival to the property. In addition to guaranteeing added convenience for guests, the Pier House staff will reap the benefits of OpenKey’s unique mobile key technology as well. OpenKey’s flexible software works with any property management software system, allowing for a seamless transition from the hotel’s traditional but expensive RFID cards. The smart technology allows front desk staff to better manage the guest experience, increase customer loyalty and improve administrative efficiency. Pier House has long been a popular retreat for travelers to Key West, mixing the romance, culture and tropical adventure of the island with elegance and comfort. Located on Duval Street just a few blocks from Old Town, the iconic property offers 119 guest rooms and 23 suites and its own white-sand beach.